, is committed to continuous improvement in energy and water efficiency. 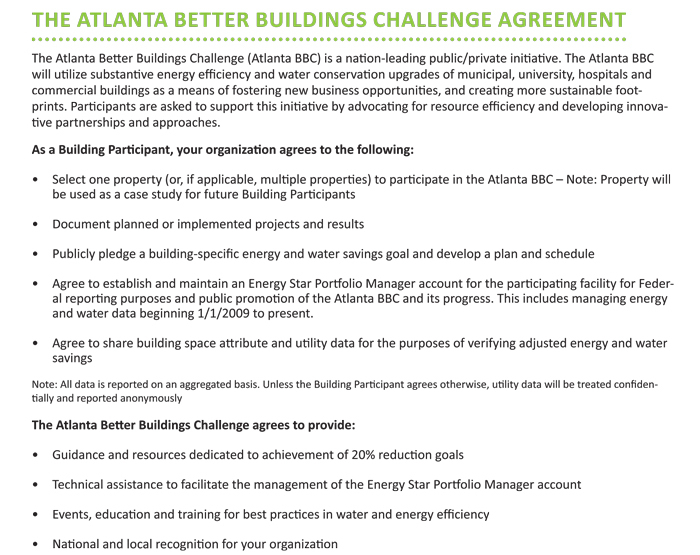 We agree to become a Building Participant and agree with the Atlanta BBC General Terms below. 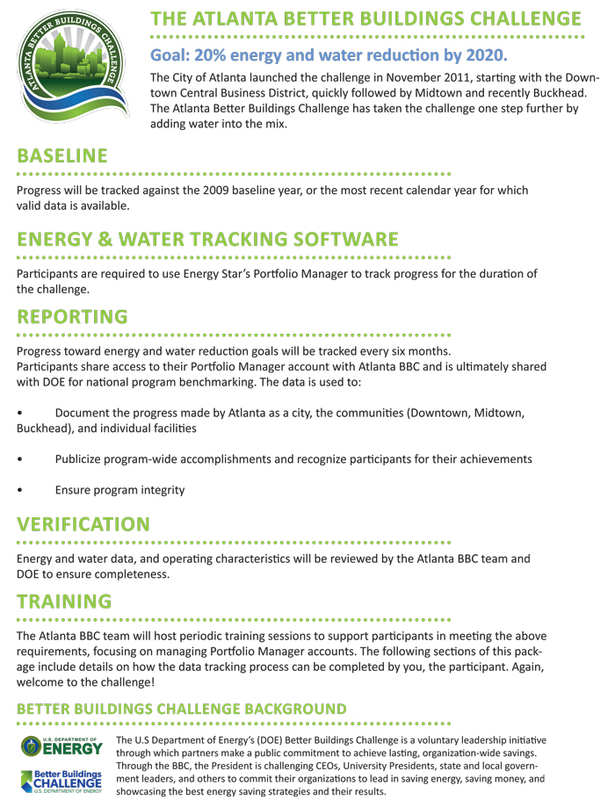 By checking this box the undersigned confirms legal ownership and rights to use for the submitted photograph and agrees to allow its unrestricted use for recognition purposes by the Atlanta Better Buildings Challenge. The undersigned further agrees such authorized use may be via printed or electronic materials. Both parties concur that this agreement is wholly voluntary and may be terminated by either party at either time, and for any reason, without penalty. Participant will not construe, claim or imply that its participation in the Atlanta BBC constitutes Federal or local government approval, acceptance or endorsement of anything other than the Participant’s commitment to the program. Participant understands that its participation in the Atlanta BBC does not constitute Federal or local government endorsement of Participant or its buildings, homes, products, services or facilities. Participant understands that the activities it undertakes in connection with the Atlanta BBC are voluntary and not intended to provide services to the Federal or local government. Participant will not submit a claim for compensation to any Federal or local government agency. The Atlanta-BBC will honor all requests to keep the Participant’s information and data confidential.